National Job Search Networking Groups. People on Job Search Teams Find work 20% faster. Networking has been proven to be the best way to find a job. We effectively work with clients (virtually) all over North America. We know that the combination of having personalized one-on-one coaching + regularly attending a local job search networking group + having a small accountability and encouragement group can shorten a job search and yield better results. A great way to compliment your individual sessions is joining a networking group in your community. Join a local networking group and attend networking events to meet face-to-face with other job seekers and employers. 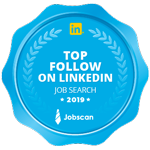 Not only will you get tips for your job search as well as potential job leads, but you'll increase the social support you receive while you are facing this difficult career transition. Job search clubs can offer support, new connections and accountability. We are actively trying to maintain a current list. Please let us know if any of the organizations we listed are no longer meeting OR if you know about a group not on our map. Please e-mail Sarah@Briefcasecoach.com with updates. A couple of reminders…. Not all networking groups are created equal. Some groups are for general audiences and some focus on certain niche job seekers. Find out as much information as you can before you attend. Also, remember that true networking—or relationship building— takes time. You can not expect to attend a meeting once and land a job. Lastly, don’t forget to bring business cards, an executive 1-pager or resume to the meeting so that if you meet someone interested in having another conversation, you can leave them with some additional information about your experience.